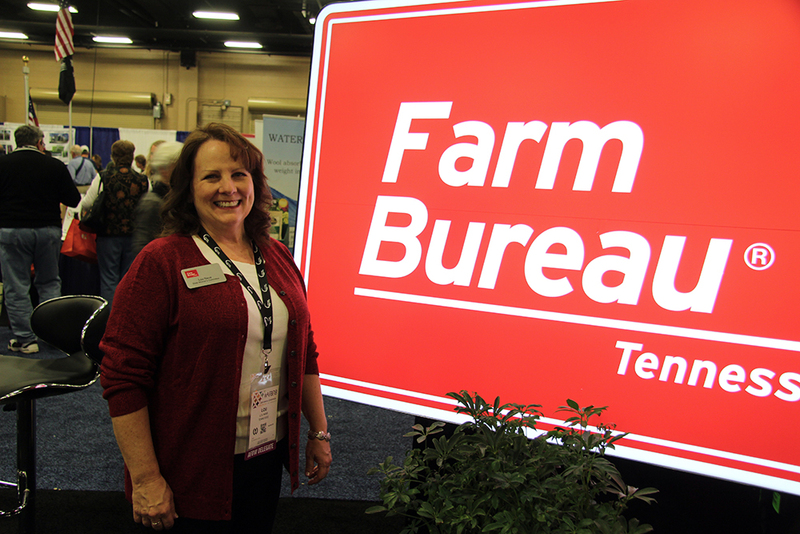 January 9, 2018 – Nashville, TN – Nearly 7,500 farmers from across the country attended the 99th American Farm Bureau Convention held at the Gaylord Opryland Convention Center, where they attended breakout sessions on hot topics and issues affecting agriculture, wandered through the IDEAg tradeshow, and took advantage of countless engagement opportunities. 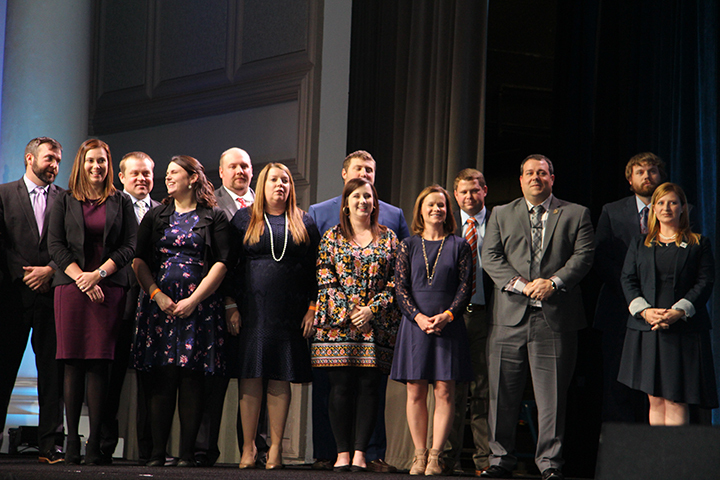 Tennessee Farm Bureau Federation received the Pinnacle Award during the opening session, which is the highest honor a state can be awarded for program and membership achievement. The state also received awards in Advocacy; Engagement and Outreach; Leadership and Business Development; and Membership Value and were based on excellence in implementation of outstanding member programs and membership achievement in 2017. Lou Nave, Tennessee Farm Bureau Women’s Leadership Committee vice chair, was elected to serve as the Southern Region Representative on the American Farm Bureau Women’s Leadership Committee during the Women’s Business session. Nave has been serving on the Tennessee Farm Bureau Women’s Leadership Committee representing District IV since 2010 and was elected vice chair in December at the state Farm Bureau convention. Robert and Lindsay Elliott of Robertson County won third in the nation in the Excellence in Agriculture competition, receiving a Case IH 40” combination roll cabinet and top chest and a $500 Case IH parts card, courtesy of Case IH. In addition, they will take home $2,000 worth of Stanley Black & Decker merchandise, courtesy of Black & Decker. The results were determined by the young leaders demonstrating knowledge of and achievement in agriculture, as well as commitment to promoting the agriculture industry. 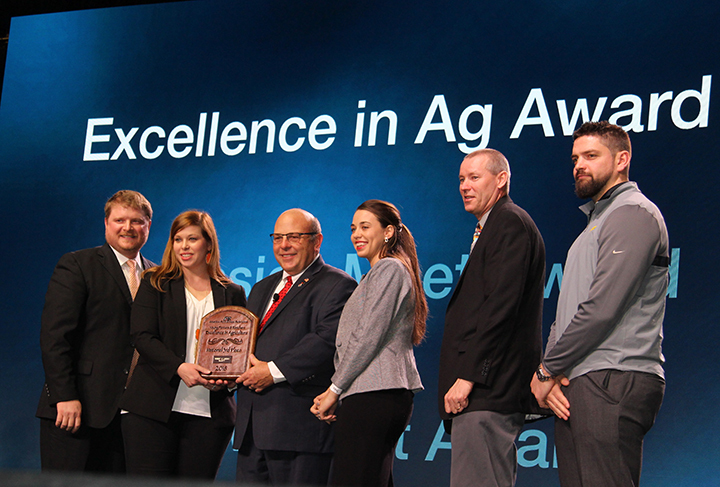 Joseph and Rebecca Smith of Overton County were named to the top ten in the nation in the Achievement Award, which recognizes young farmers and ranchers who have excelled in their farming or ranching operations and exhibited superior leadership abilities. Participants are evaluated on a combination of their agricultural operation’s growth and financial progress, Farm Bureau leadership and leadership outside of Farm Bureau. 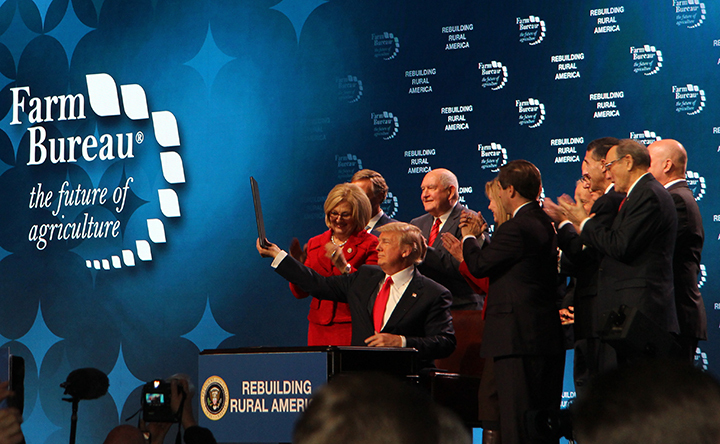 One of the highlights of the convention was having President of the United States Donald Trump address the group during the closing general session, where he signed two executive orders that fund and streamline the expansion of rural broadband. He highlighted important issues affecting their livelihood such as regulations, labor, trade and the Farm Bill. 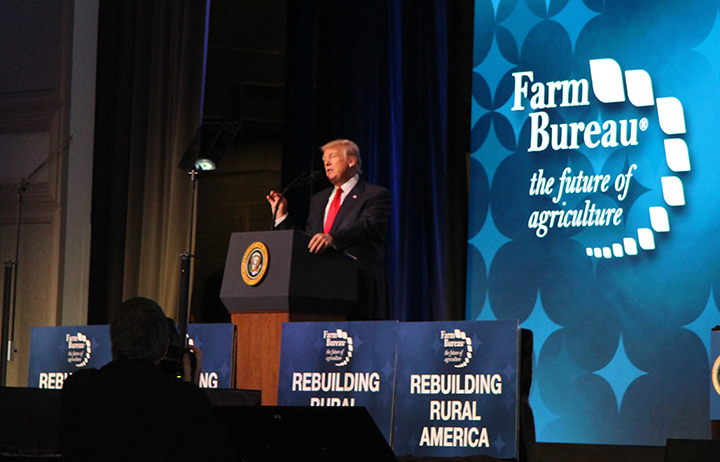 “I look forward to working with Congress to pass the farm bill on time so that it delivers for all of you, and I support a bill that includes crop insurance,” he said. Delegates also adopted and set Farm Bureau policy during the business session, where a total of 355 voting delegates, of which Tennessee Farm Bureau had 34, representing every crop and livestock sector in the United States deliberate on policies affecting farmers’ and ranchers’ productivity and profitability. The policies approved at the convention will guide the nation’s largest general farm organization throughout 2018.